Nepal, is a democratic republic, and lies between 80 degree 12′ east longitude and 26 degree 22′ and 30 degree 27′ north latitude. It is bounded on the north by the Tibet Autonomous Region of the People’s Republic of China; on the east by Sikkim and West Bengal of the Indian Union on the south by Indian States of Bihar and Uttar Pradesh and on the west by Uttar Pradesh of Indian Union. The length of the Kingdom is 885 kilometers east-west and its breath varies from 145 to 241 kilometers north-south. Climatically, it lies in the temperate zone with the added advantage of altitude. Religion: There is a harmonious blending of Hinduism, Buddhism, Christianity and Muslims living in Nepal. 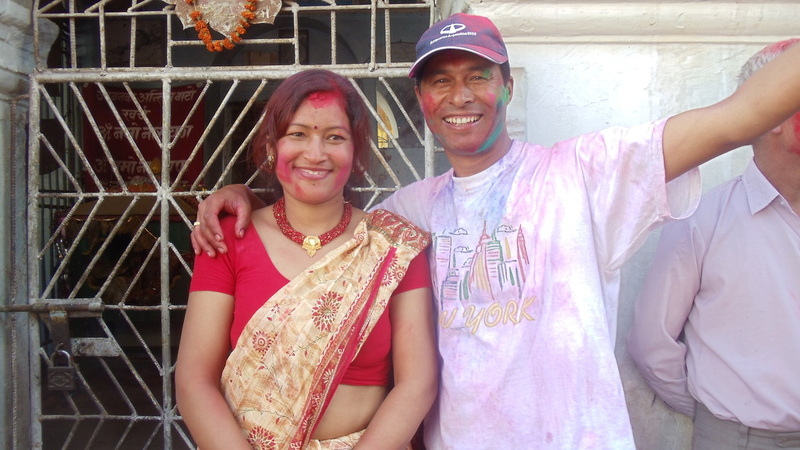 Nepal has many festivals during the year, and listed below are the main festivals. Tihar. The festival of lights is one of the most dazzling of all Hindu festivals. In this festival we worship Goddess Laxmi, the Goddess of wealth. It heralds the month of Kartik (October/November) starting with Kukur Puja-Narak Chaturdashi. Dashain. During the month of Kartik in the Bikram Sambat calendar (late September and early October), the Nepalese people indulge in the biggest festival of the year, Dashain. Dashain is the longest and the most auspicious festival in the Nepalese annual calendar, celebrated by Nepalese of all caste and creed throughout the country. The fifteen days of celebration occurs during the bright lunar fortnight ending on the day of the full moon. Holi. The ancient Hindu festival of Holi falls on late February or on early March. Allegedly named after the mythical demoness Holika, it is a day when the feast of colours is celebrated. The festival is of a week. However, it's only the last day that is observed by all with colours.